The greatest creators in human history—from Mozart to Meryl Streep, Jackson Pollock to Jay Z—don’t just have talent—they also understand their motivations for pursuing art. What’s Your Creative Type? helps artists do the same in a fun and witty way. Stepping away from the hyper-focus on how people create, What’s Your Creative Type? instead explores why. 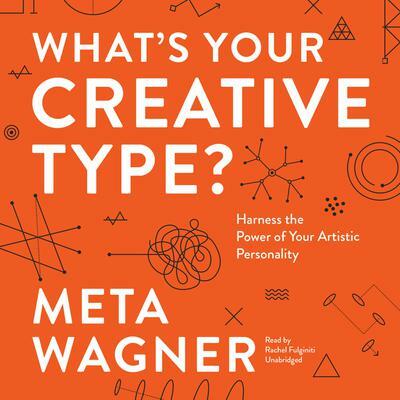 By identifying your creative motivation type, you’ll be able to find renewed energy, overcome creative blocks, and release the artist within.Drawing from creativity theory and personality typology, each chapter of the book is devoted to a creative type, from the A-lister seeking recognition to the activist who wants to change the world. What’s Your Creative Type? is peppered with pop-culture studies of famous artists, and illustrates each type with entertaining examples from legendary figures.Whether you’re a seasoned artist or writer in search of inspiration or simply looking to explore your budding creativity, What’s Your Creative Type? has fresh and reliable advice and insight for you.